In this very readable book the author, a Professor of Civil Engineering at Cambridge University, explores the construction of the stone built pyramids of ancient Egypt and sets out to provide the general reader with an understanding of the forces to be overcome (weight, friction etc) when handling large blocks of masonry. The first chapters present a review of the history of much of the pyramid age, a discussion of the key features of the main pyramids and the various methods of construction that have been proposed throughout the millennia (from Herodotus to the present). Given that we actually know so little of the detail of the ancient methods of construction, Parry like so many authors on this subject is forced to speculate, but with his engineering background, this speculation is somewhat more informed than most. Parry does focus mainly on the Great Pyramid of Khufu, although he does refer to other pyramids, particularly the "False" Pyramid at Meidum and the Bent Pyramid at Dahshur. 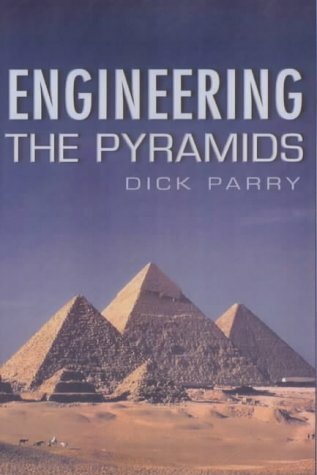 In the closing chapters, Parry discusses support infrastructure that building the pyramids would have required and touches on the initial finds made by Dr. Mark Lehner at the workmen’s village at Giza. However in recent years a great deal more has been found by Lehner, which Parry does not discuss, and he has also omitted Dr Zahi Hawass’ recent work on the cemetery of the pyramid workers at Giza. The main and less forgivable error is that Parry suggests that the last "stone" pyramid of Egypt was that of Menkaure at Giza (late Fourth Dynasty), describing all the subsequent pyramids as being built in mud brick cased in limestone. In so doing, Parry overlooks the important stone-built pyramids of the Fifth and Sixth Dynasties. This omission on Parry’s part raises the question of whether his theories can be all-encompassing when such a major element of the history of the pyramids is overlooked? The basic thrust of the book, however, is to introduce a theory of Parry’s that I first came across in the technical journal "Ground Engineering" in January 1999. This theory, which Parry is honest enough to admit may have been proposed independently by others before him, argues that the pyramids were built using a combination of ramps and wooden rockers. These rockers encased individual masonry blocks and allowed them to be rolled along from the quarry to the pyramid. 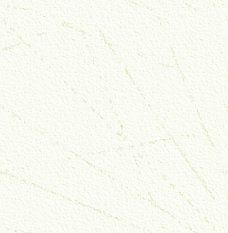 Full scale field tests in Japan demonstrated this technique and the idea has a lot in its favour. The archaeological basis for these rockers is a model which was found by Petrie at Hatshepsut’s temple Dier el Bahri. The wooden "rockers", each consist of a pair of rounded wooden "skids" braced by wooden rods. Despite the significant period of time between the pyramid age and the 18th Dynasty, both Petrie and Parry think rockers like these were used in pyramid construction (although exact details differ). When used with ramps, Parry demonstrates that the size of the ramps can be reduced by increasing the gradient to 1 in 4, steeper than the 1 in 10 ramps required for sleds (a 1 in 10 ramp to the top of the Great Pyramid would have been around a mile long!). This idea also makes the loading of masonry on and off boats much easier and is a straightforward solution to a tricky problem. However, I do have my reservations about this theory: Parry describes the "average 2.5 ton block used in the construction of the Great Pyramid", wheras in practice the blocks used in the pyramids varied greatly in size, and are far less uniform in size than Parry assumes. This factor is important as any single set of Parry’s rockers would serve only a limited range of block sizes. The other problem is that Parry argues for a system of spiral ramps around the pyramid. Such ramps would cover and, therefore, obscured the growing structure, making it extremely difficult to control the accurate alignments of the sides of the pyramid. An interesting idea though, and congratulations to Parry for having undertaken field trials to explore the idea, but for now I remain unconvinced that this system was as widely used as Parry would have us believe. Katie Green is a professional storyteller. The telling of stories has to be one of the oldest professions in the world, and indeed many of the worlds myths and great stories were probably passed verbally through the generations for centuries before they were actually written down. This may well be the case with the Egyptian myths we know today. To tackle Egyptian myths is a brave task, for they are many and complex, and indeed one story often seems to contradict another. For example, there are many versions of the God Horus and many stories around him (Horus the Elder/Horus the Younger etc.). 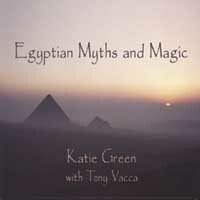 Katie has been interested in Egyptian Mythology for many years and the stories on her CD have taken three years to complete. On two CDs we hear stories that include the Creation, the tale of Osiris and Isis and the conflict between Seth and Horus. Katie travelled to Egypt with the Institute of Egyptian Art and Archaeology and conducted some of her research at the great museums with Egyptology collections, including the British Museum and the Petrie Museum in London. So … what is it like hearing these stories told? Well … I have to say excellent! Reading the stories in books is fine, but their complexity often makes them difficult to follow. Katie has selected the main thrust of the stories, and any slight liberties she may have been forced to take to make them form a coherent tale are fully justified. As someone who knows many of these tales well, I found I was intrigued by the way they are told here and actually I think I will remember them much better now. Katie does tell a good story and she usually does this live, having performed at several art museums in the United States, including the Walters, which is hosting the travelling British Museum exhibition "Eternal Egypt". Her narrative is accompanied by a musical soundtrack by Tony Vacca, who plays a variety of percussion instruments, not unlike those of ancient Egypt. The music really does enhance the drama and fits the stories well. As Katie herself says, she has attempted to tell the stories respectfully and with integrity, and in this she has I think succeeded. The telling of the tales brings them to life, almost literally in the ancient Egyptian sense. It is certainly good to hear these stories rather than to read them, for this is the way that most Ancient Egyptians would have learnt of their mythology, and their own history since the time of creation. For more information about the CD, you can visit Katie’s web site: www.katiegreenstories.com As Katie lives in the United States, the CD (ISBN 0-9722032-0-6) is priced at $25. The CD can be ordered on line and Credit Cards can be used. Postage and packing costs are $5.00 for one CD, $8.50 for two. Or you can contact her by post: Katie Green, PO Box 12, Princeton, MA 01541, United States of America. Payment can be by cheque (in $) payable to Oak & Stars Productions). Over the last few years, many museums with Egyptian collections have published books featuring the main and most interesting objects. This book follows the, by now, accepted formula for design and layout. Selected objects are described in great detail, with translations of texts, measurements, list of publications which have featured the objects before and so on. Each object is illustrated by large scale photographs and in some case more than one. I have to say this genre of books is a delight to the enthusiast for they are all produced to the highest quality and with text by well known Egyptologists. This Chicago volume is no exception. In146 pages we are told how the huge collection of Egyptian objects (now numbering more than 25,000) made a humble start in the latter years of the 19th Century, when James Breasted collected many objects whilst on his honeymoon in Egypt. The collection grew rapidly, with many objects coming from the excavations of the Egypt Exploration Society and the British School of Archaeology in Egypt. Breasted purchased many objects on the open market to enhance the collection and when the University commenced excavation and recording work in Egypt, the collection grew even more (at this time there was a division of any finds between the excavators and the Egyptian Museum in Cairo, though this practice ceased in the early years of the last century). As a consequence the range of items in the Chicago collection is wide and this is shown in the book. Where else would you find a detailed description of a rush sandal, a child’s tunic or "groming implements" alongside many well-known reliefs and large scale statues, including a magnificent colossal statue of Tutankhamun (later usurped by Ay and Horemheb). You will find information and detail in this and other such Museum books, which simply is not available elsewhere. The illustrations are superb and the text well written and understandable. Expert of beginner will learn much from the contents of this volume. 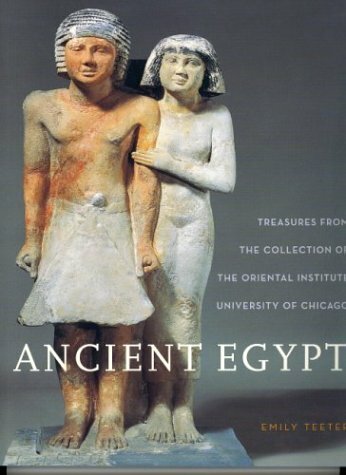 ANCIENT EGYPT: Treasures from the Collection of the Oriental Institute, University of Chicago, is published by the Oriental Museum.